Weather resistant basket made out of polypropylene material. Large volume, comfortable handle. Adapter plate with adjustable height. 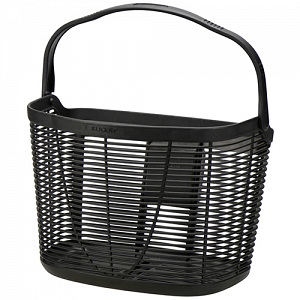 These baskets are especially popular along coastal areas because they will never rust, even in salty air. The Lamello basket is ideal in combination with our little BaB's Basket Bags. Take maximum load of the chosen adapter into account. You can mount the adapter plate in different heights to leave enough space for the light.